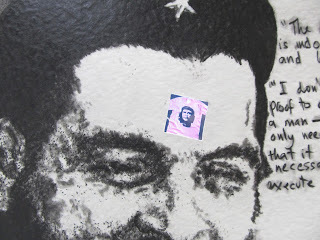 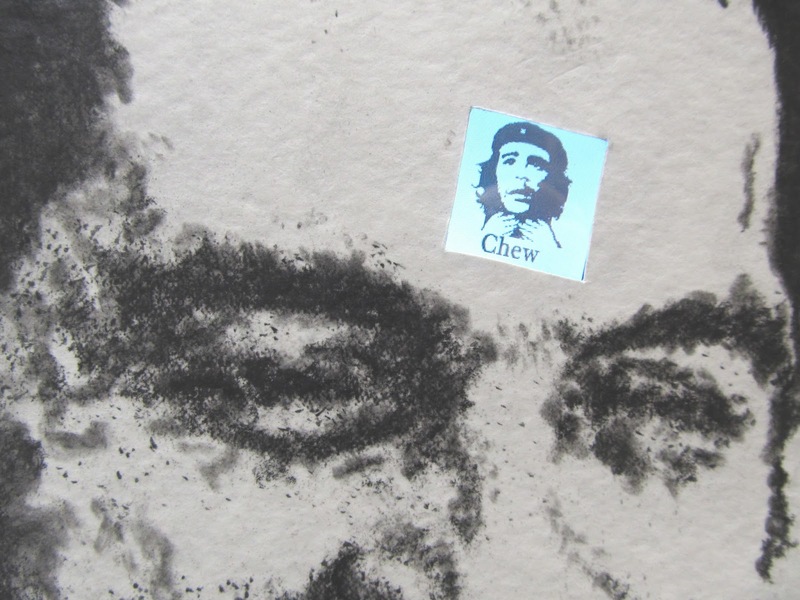 Below is a recent work depicting the mass-murdering racist psychopath known as Ernesto Guevara de La Serna Lynch... this piece will be part of "The Art of Political Change" show that opens at MOCA DC on September 14. 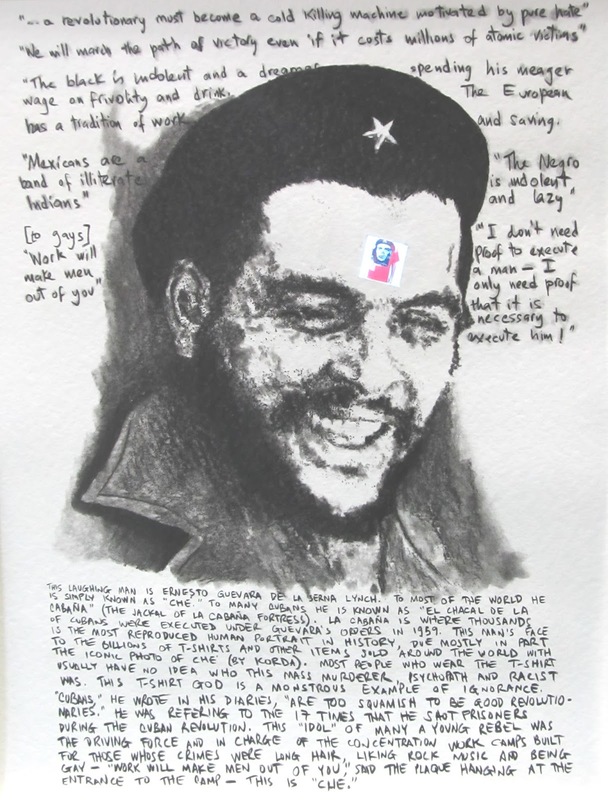 The image is appropriately ripped off from a Commie photographer and reinterpreted in the context of the truth. My goal is to try to change the way that people who do not know about the real Che Guevara perceive him. 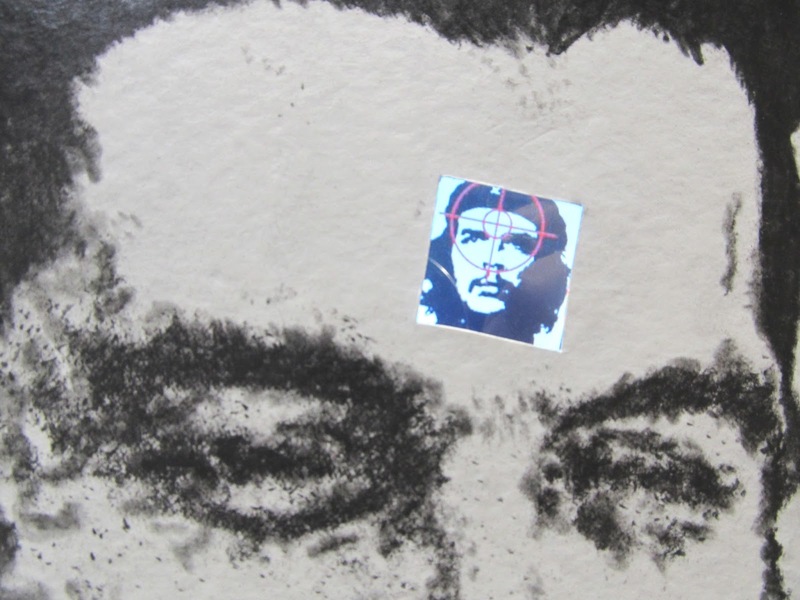 Would you wear a T-Shirt with this man's face on it? Only if it says "MURDERER" written across it.